About a 1 ½ hours north of Toronto is one of Canada’s favorite hotels. With luxurious accommodation and gracious hospitality this hotel has won the hearts and minds of tourists and locals as Orillia’s best accommodations. Whether you want a quiet and relaxing stay or a fun-filled retreat, Stone Gate Inn will not disappoint! – Casino Rama Shuttle Packages – Stay & Play Golf Getaway Packages – Live Theatre & Dining Escapes – Intimate Wedding Packages – Perfect Girls Getaway Retreat. It’s no wonder why Stone Gate Inn is Orillia’s #1 rated hotel. Don’t miss us in the heart of Ontario’s Lake Country! 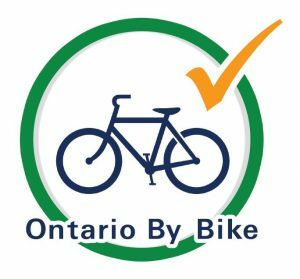 Certified “Bicycle-Friendly” by Ontario By Bike.